In California, nothing succeeds like success except — perhaps — failure. 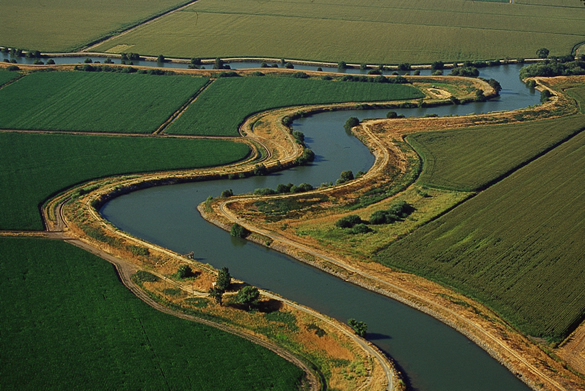 Take as one case in point California’s State Water Resources Control Board (SWRCB) in the matter of wetlands management. According to the SWRCB — California’s governor-appointed czars endowed by our legislature with broad authority to protect our state’s waters — the eight regional water boards under its umbrella are so dysfunctional at protecting wetlands that their parent board must redefine what wetlands are in order to straighten out their confusion and conflicts. What’s more, the SWRCB also claims its prior and continuing efforts to protect, preserve and grow California’s wetlands have been managed so poorly and with such unsatisfactory results that they should now create and manage vast new swaths of wetlands, including areas that the federal government does not recognize as wetlands at all. In the Board’s mind, the answer to these shortcomings is a bevy of new rules imposed not on its own organization in an effort to reform and straighten itself out, but on the public that has done nothing wrong to deserve their regulatory attention. The SWRCB’s proposed rule is just a pretext by the Board to vastly expand its empire at a huge cost to California’s taxpayers. The SWRCB claims, “There is no single accepted definition of wetlands at the state level.” To remedy this, the Board would impose a new definition, ignoring the perfectly serviceable and constitutionally binding federal definition already recognized by California and 49 other states. Without distinction or exception the Board would instead define “wetlands” as follows: “An area is wetland if, under normal circumstances, …the area lacks vegetation.” Just think for a moment about all the areas of the state that lack vegetation and have standing water for a week or more at a time. If the SWRCB gets their way large desert areas of California, most of the Sierra Nevada Mountains above tree line and many more square miles of other lands that most Californians would agree aren’t wetlands at all would have a new designation and the restrictions that go along with it. There are millions of acres of private, public and federally owned lands at risk here. The SWRCB is chomping at the bit to reclassify all these, making them subject to new regulatory oversight, imposing vast restrictions on their uses and forcing major changes to their value. What is the purpose of this massive self-expansion of authority that would grab lands almost beyond measure into the state’s regulatory grasp? Language taken from the new rule gives the answer: “The Water Boards are committed to increasing the quantity, quality, and diversity of wetlands that qualify as waters of the state” [emphasis added]. As waters of the state, newly-classified wetlands are subject to the Clean Water Act and other federal water laws, as well as to the state’s own Water Code, all under the guiding regulatory hand of the SWRCB. At its core, the Board is conducting a naked land grab, one designed apparently from inception to strip private and public landowners of their rights to access, enjoy, use or alter their property and its attached rights — including water and mineral rights — without due process, compensation or remedy. The new rule is also a handy tool for empire building by a board of political appointees who have previously demonstrated their lack of restraint while imposing regulatory drought-conservation and landscape watering mandates on Californians. With millions more acres of “wetlands” to manage (or mismanage, as the SWRCB admits it has done in its proposal package for the rule), the Board can soon be counted on to present the California Legislature its new and expanded budget proposal, complete with staffing additions, greater resources, new facilities and other budget-busting government expansion. California’s responsible legislators and the public should disappoint these enterprising bureaucrats, not reward them with millions of acres of land to manage as “state waters.” The SWRCB must be held to account for their past failures and forced to answer questions at public hearings about their true goals. Until then, taxpayers, hold onto your wallets. Jim Patterson represents the 23rd Assembly District which covers portions of Fresno and Tulare counties.